Preserving a Japanese ancestral home is quite a task especially when you're left with very little materials. 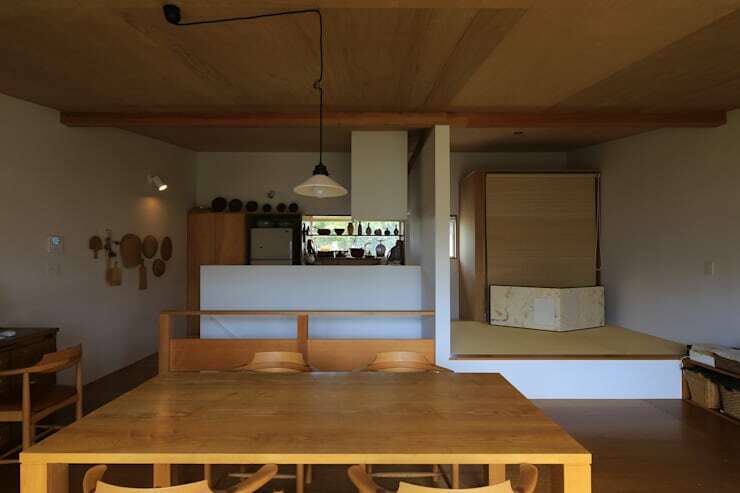 When it comes to projects like these, trust Yujiro Hayata Architect and Associates to build the smart compromise between sustainability and tradition without of course forgetting aesthetics. This two-storey old home that stood for 40 years got into their expert hands and the result is no less than simply wonderful. Read on to go around the house. Capture that ancestral provincial home look with a twist. This structure stands on a 122-square meter lot and elevates up to a second floor. 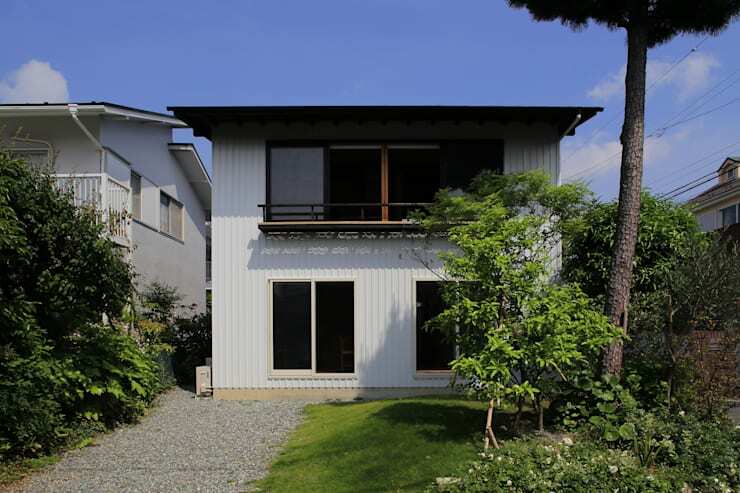 It's construction was priced at 15 million yen or approximately 6.5 million in Philippine peso.The exterior features its galvanized steel material and ample windows. The walkway to it is composed of gravel with a modest garden by the side. Here we can also notice that there doesn't seem to be a main door, but apparently those windows are just elevated sliding doors! 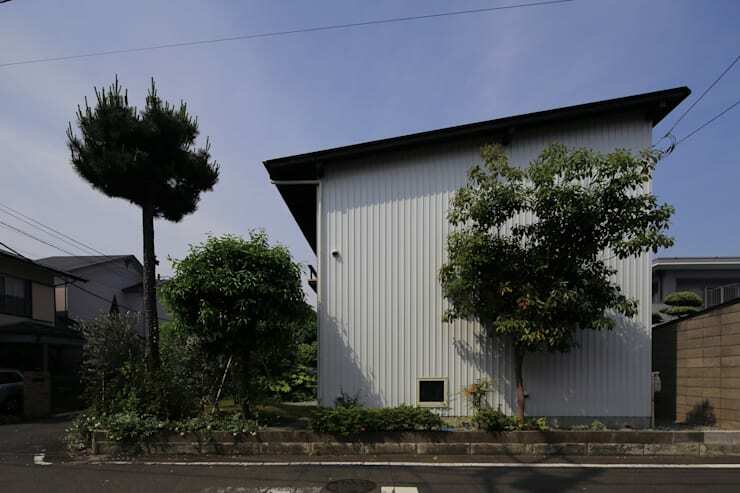 The house is situated at a corner lot and isn't enclosed by a fence but lined by some trees. It's container vessel surface on this side however shows that it is concentrated on privacy with just the front and the opposing side as openings. Meanwhile, it also sports a shed roof which slopes down to the front. 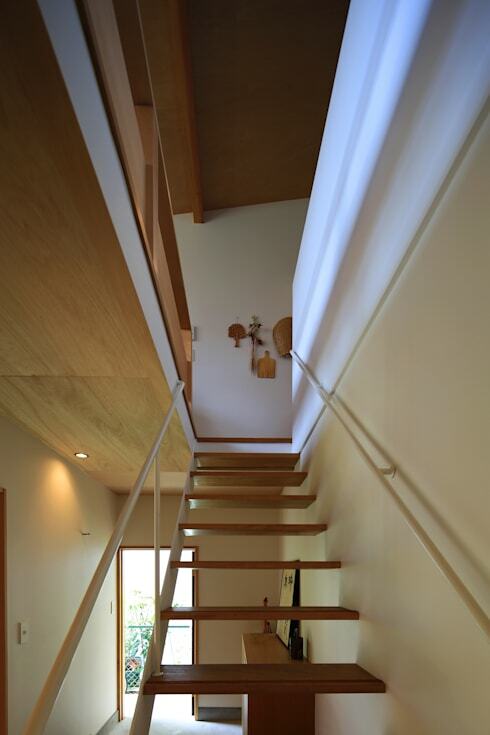 The house's interior is primarily built on wood, but this staircase has a set of steel railings. Its design looks ultra light weight. 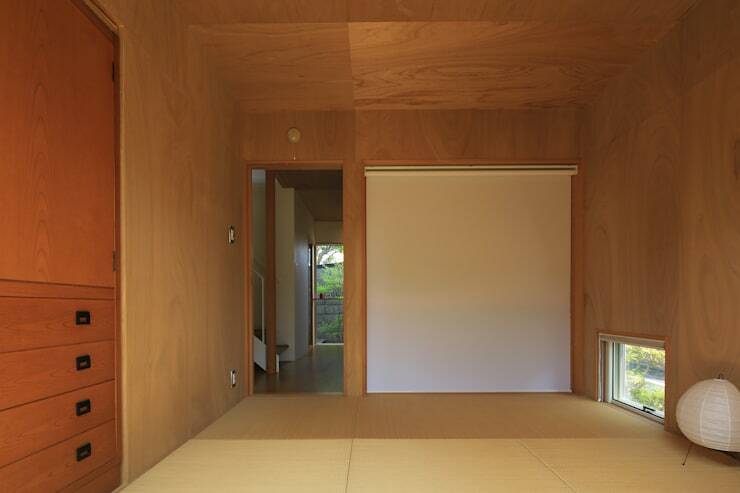 This side entryway has a limited space but with the minimalist style going on, it seems more spacious than it actually is. They even made use of the area below the staircase! 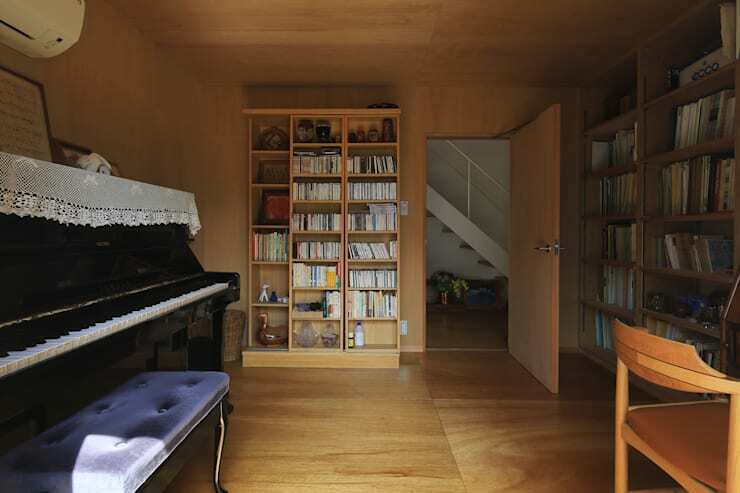 Walking by the entryway allows one to see the study where a piano is also positioned. This room is traced with wooden elements all over other than the presence of these neatly stored books. An extended view of this room would reveal that it actually opens to the front garden. So one of those to front doors earlier leads directly to the study. 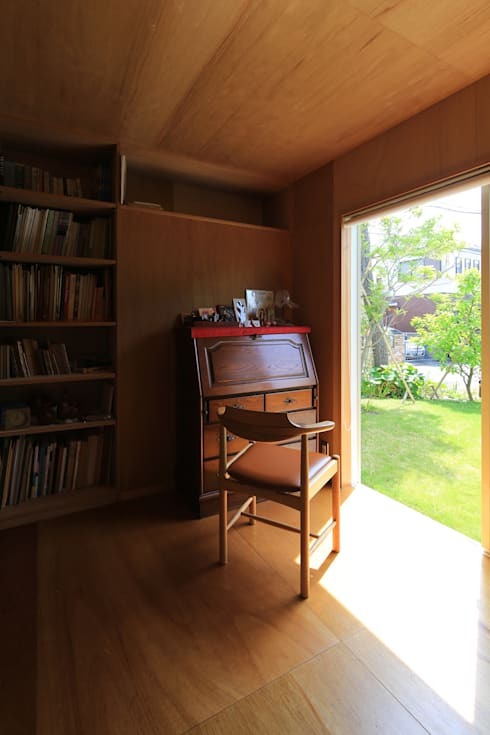 The advantage of having this door raised is that it can conveniently air condition and provide lighting to the person who's studying by this desk. That saves the family from consuming electricity with their air-conditioning unit. 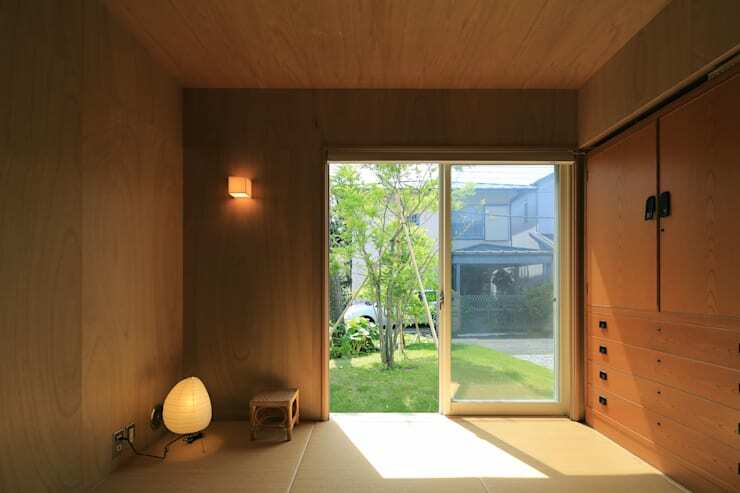 Adjacent to the study is the bedroom which can accommodate more than one person, especially when futons are rolled out on this tatami or Japanese mat. Here's an alternate view of the bedroom. Apparently it opens to the front which means that it's the last door on the facade shown previously. 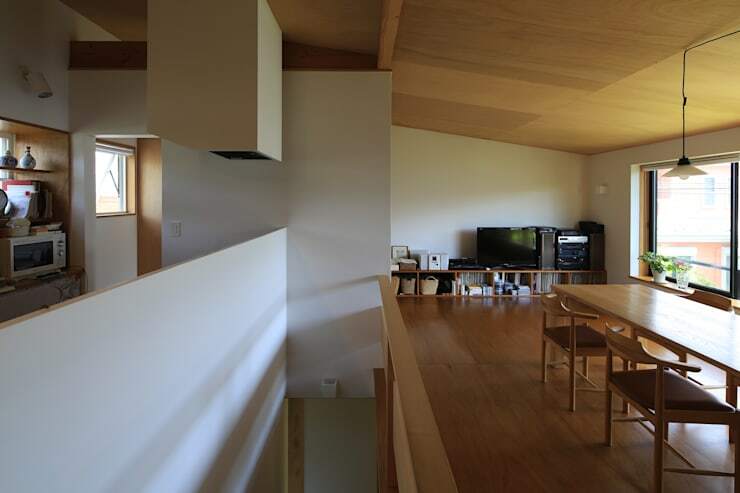 In keeping with Japanese housing, this room is minimalist and exudes that Asian ambiance. Its dresser has even been built within the wall to maximize space, but it has enough drawers and compartments to keep things. The second floor is where cooking and dining happen. Surrounding windows here provide the right amount of light and ventilation. The wooden finish of the ceiling and floors also contrast nicely with the white paint giving it all a natural and clean appearance. This opposite view shows the four-seater polished dining set and a raised small cubicle where guests or the family can be entertained. Since this dining table is just by the window, those who are eating are basically grubbing al fresco.